Our mission to educate and develop principled leaders is resonating with record numbers of young people today who want to put service above self. The story of The Citadel, founded in 1842, is one of leadership, service, patriotism, tradition and growth. The Citadel seeks to prepare its graduates intellectually, physically and morally to be productive citizens in all walks of life through the core values of honor, duty and respect. On Sept. 2, at the Bulldogs’ first football game of the 2017-18 academic year, The Citadel will kick off a year-long commemoration of the military college’s 175 anniversary. “The Citadel proudly celebrates its 175th anniversary, remaining relevant for eight generations. Our mission to educate and develop principled leaders is resonating with record numbers of young people today who want to put service above self and make a difference in the world,” said The Citadel President Lt. Gen. John W. Rosa. During the 6 p.m. game, which will be broadcast on ESPN3, a dramatic and sweeping video exploring the college’s history will debut on video screens around the stadium. 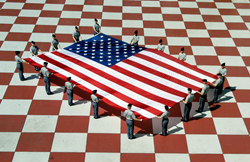 The Citadel’s 175 anniversary video can be seen here. Additionally, the official anniversary art that was selected through a contest held during the 2016-17 academic year will be unveiled at the game. The Citadel regimental commander will lead cadets in shedding their jackets to reveal t-shirts with the winning artwork. The artist, whose work was selected from more than two dozen submissions, will be also present at the game for the announcement. The t-shirts will be sold at football games and in the campus bookstore for $18.42 while supplies last. “Those of us leading the South Carolina Corps of Cadets learn many positive lessons from the men and women who have gone before us here. It is a privilege to follow in the footsteps of so many generations of Citadel alumni who have served or are serving our nation, state, and our communities as principled leaders,” said South Carolina Corps of Cadets Regimental Commander Cadet George “Dillon” Graham, Class of 2018. Graham is a biology major and is from Myrtle Beach, South Carolina. Citadel graduates have participated in many of the pivotal events in the history of the United States and have fought in every American war since the Mexican War of 1846. Alumni have achieved prominence in such diverse fields as military and government service, science and engineering, education, literature, business, the medical and legal professions and theology. The Citadel with its iconic campus located in Charleston, South Carolina, offers a classic military college education for young men and women profoundly focused on leadership excellence and academic distinction. The 2,300 members of the South Carolina Corps of Cadets are not required to serve in the military but about one-third of each class commission as officers in every branch of U.S. military service. Graduates of The Citadel have served the nation, their states and their communities as principled leaders since the college was founded in 1842. The Citadel Graduate College offers 26 graduate degree programs with 42 concentration options, 23 graduate certificate programs, and eight evening undergraduate programs through an all-evening schedule with many courses now available online. The Citadel was named Best Public College in the South by U.S. News & World Report for six consecutive years and No. 1 Best Public College for Veterans in the South as well as Best Value out of all South Carolina colleges and universities by Forbes.